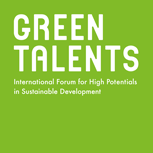 The first generation of Green Talents toured Germany from 31 August to 10 September 2009. 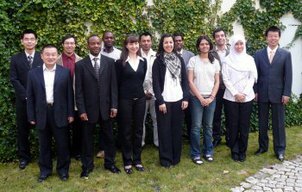 In 2009, the German Federal Research Ministry’s Green Talents award was directed at 15 outstanding scientific minds in the field of environmental technology. During the first week of September 2009 the winners were invited by Professor Annette Schavan, the Federal Research Minister and the patron of the competition, to visit some of Germany’s best-known environmental technology venues. 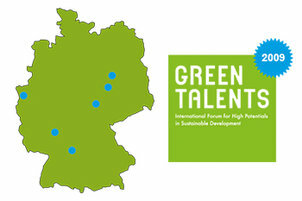 The Green Talents were shown around German universities, research institutions and companies involved in projects spanning various areas of technology, including fields such as global climate change, cleansing contaminated land, processing water and wastewater, and researching new fuels based on biomass and photovoltaics. At the sixth BMBF Forum for Sustainability (FONA) in Hamburg, which represented the culmination of the Green Talents Science Forum, Professor Frieder Meyer-Krahmer, State Secretary at the German Federal Ministry of Education and Research (BMBF), received the Green Talents and honoured them for their research work in their home countries. During the Green Talents-Forum 2009 the winners visited German universities, research institutes and companies and got to know exemplary projects from different fields of technology. The forum was held from August 30 to September 10, 2009. more: Science Forum 2009. 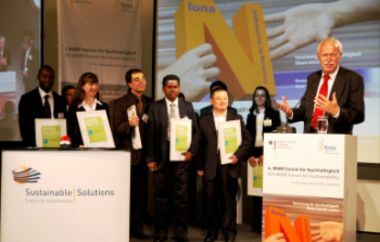 The winners were selected by a jury of renowned German experts, whose members in 2009 included Professor Martin Faulstich, Professor Thomas Hirth, Professor Beate Jessel, Professor Jürgen Mlynek, Professor Hermann Requardt and Professor Hans Joachim Schellnhuber. more: Jury 2009. When the Green Talents Competition was held for the first time, it focused mainly on the field of Environmental Technology. Young researchers of up to 35 years of age were invited to apply. 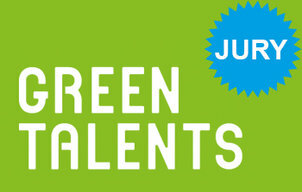 The first generation of Green Talents consisted of the following 15 awardees: more: Awardees 2009.